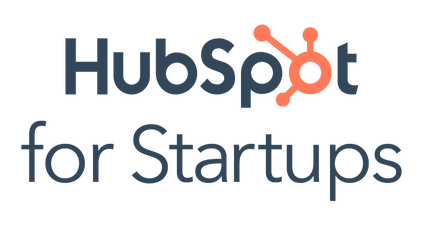 ecentre is excited to partner with HubSpot For Startups to offer their program designed specifically to help startups grow and scale better, and faster - at a startup-friendly cost! It’s about big discounts on software - highly useful to startups - plus access to networks, education and training. EDUCATION RESOURCES AND TAILORED TRAINING | Content, masterclasses, and 24/7 support to get your startup growing. From board deck templates to quick tips on customer acquisition, this content is made just for you. Plus, you’ll have access to world-class support from HubSpot experts and a startup-friendly onboarding experience. INTEGRATED PLATFORM FOR STARTUPS | Access to over 200 software integrations, many at startup friendly pricing, as well as the opportunity to build an integration on the HubSpot platform. Any startup that is a current alumni of ecentre and meets certain funding criteria is eligible for this exclusive program! A startup with under $2 million in funding | You are eligible for up to 90% off HubSpot software in your first year, 50% off in your second, and 25% off ongoing. A startup who has raised over $2 million in named funding up to and including Series A | You are eligible for up to 50% off in your first year, and 25% off ongoing.